Spearheaded by Wizcraft International Entertainment Pvt. Ltd., India’s first and premier event management and entertainment agency, the International Indian Film Academy(IIFA) is an avant-garde initiative to endorse Indian Cinema globally. With the film industry all over the world racing against time to create compelling and impactful stories, India does not fall far behind in producing world-class content, brimming with exceptional talent and gripping plots. Every year, IIFA aims at flaunting to the world, this rich jamboree of culture and finesse through the events it undertakes around the world. With an exclusive awards event and a number of sister events flanking the main show, B-town shows up and how to commemorate the films of the year and to pay tribute to those gone by. With stellar music and fashion performances at IIFA Rocks to the nail biting award ceremony, everything about the event screams glamour and stardom. While fans converge to the hosting city to catch a glimpse of their favourite stars, those that can’t sit back and catch the telecast of the show on their TV screens. Many tune in live to our social media platforms to get instant updates on the event, including glimpses of the famous Green Carpet. Has viewership of almost 700 million- amongst the world's most-watched entertainment events. From the Millennium Dome, London, to Sun City, Malaysia, Johannesburg, Singapore, Amsterdam, Dubai, Yorkshire, Thailand, Macau, Colombo, Spain and Toronto, IIFA’s on its cinematic journey around the world leaving a little bit of magic in every exotic location it visits. Ultimately, also providing an impetus to promote the business of Indian Cinema. 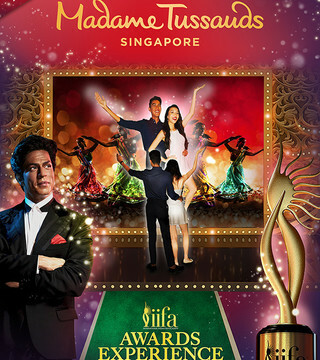 Supported by the key members of the Indian film fraternity, IIFA is the most respected South Asian film academy, and is Asia's biggest annual media event. IIFA believes in leaving an indelible mark around the world, one city at a time. Showcasing to the world, the wealth of talent Indian Cinema has to offer, IIFA returns every year, bigger, better and starrier. 4 Continents, 14 Countries, Fasten your seat belts for the 20th IIFA and destination next!